Atlanta divorce attorney Melissa Strickland has ten years of experience resolving high asset and high conflict divorce in Fulton, DeKalb and surrounding counties. Whether your divorce is amicable and uncontested or highly complex and emotional, count on Buckhead Family Law to be there for you throughout the entire process, giving you the time and attention you need and providing the level of representation necessary to achieve a successful resolution of your Atlanta divorce. A Georgia divorce can be finalized as soon as 30 days after serving divorce papers on the other party, but in reality the process usually takes months longer, even if the divorce is uncontested. When the divorce is contested, the entire process can take several months or even a year or more, depending on how much litigation is necessary. The judge may even refuse a no-fault divorce if not convinced that the marriage is irretrievably broken. It is not enough to just agree in general on these items. The parties must work out all the specific terms. If they can’t, these matters are decided by the judge following a period of litigation where the parties gather evidence, depose witnesses and argue the case to the judge through motions and hearings. 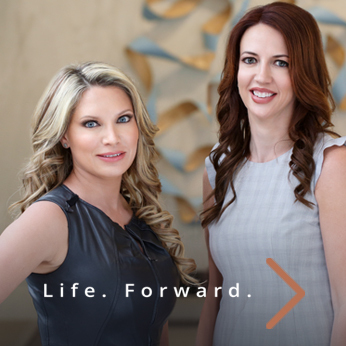 With experience in high-powered civil litigation in Georgia state and federal courts followed by ten years of experience in Atlanta divorce proceedings, attorney Melissa Strickland and her team at Buckhead Family Law can fully represent your interests in all of the above issues, no matter how complex or conflict-laden. Our goal is to resolve your divorce as smoothly and efficiently as possible, but always with your rights and best interests protected. If the couple can agree on all the issues to be decided in the divorce, then litigation may not be necessary. An uncontested divorce can be concluded in just a couple of months, saving time, costs and conflict for the parties. Even if you and your spouse go into the divorce agreeing in general on the terms and favoring an amicable split, it is still important to have legal representation. At Buckhead Family Law, we can provide guidance and advice in negotiations or mediation to help you get from a general agreement to the level of specificity needed for an uncontested divorce to be approved by the judge. Our office drafts and reviews marital settlement agreements that set out the terms of your divorce in a practical manner that is useful for the parties and enforceable in court. For effective representation that meets your needs in an Atlanta-area divorce, call Buckhead Family Law at 404-600-1403, or contact us online to schedule your consultation with an experienced and dedicated Atlanta family divorce lawyer.